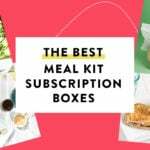 Each month’s box is themed as a Mission and includes a detailed list of products and their values in all the different level options. This month’s theme is EDC 3.0, and it contains a nice little collection of items that will come in handy in everyday situations. I just want to preface this review by saying literally every item in this month’s box is ultra-portable and would easily fit in your hand. In fact, every item conveniently can be stored in a pouch that is no bigger than a burrito! First up we have this micro carbide sharpener and ferro striker named the Speedy Strike. Made from Micro 100 Super Carbide, this handy little tool can be used to sharpen serrated or flat blades, fish hooks, garden tools – basically anything you might need to keep an edge on. It feels sturdy in the hand and has a smooth but grippy rubberized grip and removable cover. Next up we’ve got this interesting item – The Lighterbro. You can turn your plain old Bic lighter into a multi-tool featuring a blade, scissors, screwdriver, and bottle opener. I like that it’s stainless steel, it has a pleasant weight in my hand and doesn’t feel bulky like I expected it to at first. I don’t normally carry a lighter so this is something I’m likely to gift. Next up we have a couple of items from Exotac, a brand I’ve seen in several subscriptions including a past Battlbox. Everything they make seems to be clever and well-constructed, and the Freekey system is no exception. It’s basically an improvement over the classic keyring design. Instead of having to fight against a smooth, strong, rounded piece of metal with your fingernails, the Freekey system is flat and pulling apart the layers is a piece of cake. It is made of several loops, so it’s equally as secure as a classic keyring. If your key doesn’t fit on the larger main ring, there are several smaller rings included that have the same build. Everything was super easy to attach and remove. The other Exotac item is this magnetic quick release keyring that mimics a .380 bullet. The magnets in the bullet and casing are super strong – I had to keep them a few inches apart just to photograph them. The bullet side comes with the smaller Freekey system ring and looks great attached to the main Freekey system from above. The final item at the Basic level is this small utility knife tool from Battltac. This is essentially a retractable x-acto blade in a very tiny metal package. It fit easily in my fifth pocket even with a tube of lip balm. Daniel Dabbs, Battlbox CEO, designed this particular item in order to save your expensive EDC blades from everyday cutting tasks like opening boxes or working through annoying plastic packaging. Save those sick stainless blades for cutting rope and wood and meat, and use this little guy to open your next Battlbox or subscription box instead. The first item at the Advanced level is this ultra-compact, high-powered LED flashlight from Olight – the S1. As some readers may know, I have a weakness for flashlights, and I can thank the last EDC themed Battlbox for turning me on to Olight. The S1 is about the size of a AA battery or a standard lip balm tube, and despite its small size it has an output of 500 lumens! Standard headlamps output somewhere between 100 and 200, so this is a wildly bright little light. It comes with a pocket clip, which I removed, and a lanyard which I probably won’t use. My only gripe is that it’s not rechargeable, but you can purchase a separate rechargeable 16340 battery. The other item at the Advanced level is this EDC tool roll from Exotac! This roll is made from heavy-duty nylon and velcro and has one row of stretchy pockets for larger items and a flap with mesh pockets for holding smaller things in place. The stretchy side is perfect for a standard pocketknife, the Speedy Strike, or even a smaller medicine bottle, while the mesh pocket side is ideal for smaller items like keys, lip balm, or an S1 Baton flashlight. There is a large amount of velcro, allowing you to pack a ton of stuff into this roll and still easily secure it. The leather belt strap is a nice touch as well. The only item in the Pro box this month is this gorgeous 14C28N stainless steel knife from Real Steel. This knife is so slick: it fits cleanly in the palm, it’s got a bit of a matte finish on the aluminum handles, and has bearings in the hinge making opening and closing a total breeze. To open the blade, there is a thumb push on the bottom, and the locking mechanism is completely hidden within the handle. I really love the sharp look and feel of this blade and it may take the place of my current EDC, the Brous from Battlbox April 2017. Finally this month, we have this combo from CRKT featuring the VIVA EDC tool and the Crossbones folding blade. Starting with the VIVA, it’s a basic belt loop hook with a few tools included, but it’s got a nice weight to it compared to some other all-in-one pieces. There is a pry bar at one end, a bottle opener of course, and a mini-wrench built into the body of the tool. Moving on to the Crossbones, this is a really interesting folding blade with a unique body. The blade itself is reminiscent of the Metamorph, but is made from a different steel (AUS 8). The handles have a nice pattern to them which grips the hand well, and the locking mechanism is strong and tight. Honestly, I was a little bit surprised in how similar the two blades included this month are. The main difference is that the Metamorph blade tapers while the Crossbones sweeps upwards to a point. And just so you can see, here is the Exotac EDC Roll with everything in this box packed in it. Lots of room to spare for items saved from past EDC boxes, or for your personal EDC needs! Verdict: BattlBox put together another great EDC collection here, I have to say these are probably my favorite Battlboxes to get in the mail. I love how useful every single item is, and it was a great idea to include a tool roll with plenty of space for everything in this box with room to spare. This month’s value tops out at $274.25 which is a little low on the Battlbox spectrum but still well above the $159.24 investment ($149.99 a month plus $9.25 shipping). When I signed up I thought I would get the September box, but instead they sent me an older Mission. Apparently Mission 34 (Dec 2017) Bug Out Bag/Best of Battlbox is the “Welcome Box 3.0” – so new subscribers will get that and not the current month’s box. Just something useful to let people know! It isn’t advertised very clearly when signing up. 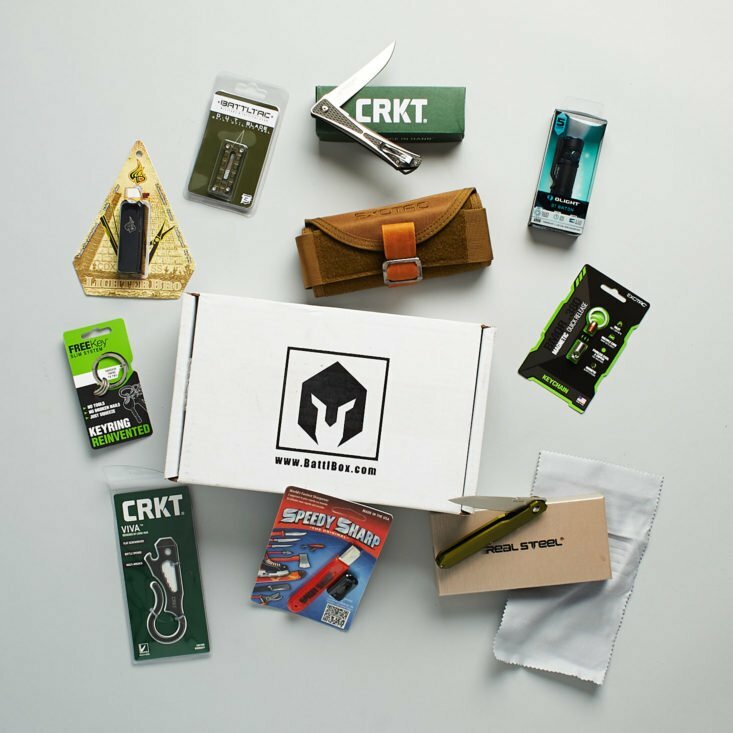 I like the Mission 34 box though so it turned out to be a good thing – I think my husband will really like the bushcraft knife! "Yeah, kinda misleading when it was in the email though. I have been eyeing that kit for a little while"
"Lmaoooo.....get outta my head! I was thinking the same thing! How many highlighters does one need???? They are e..."